Lennox furnace running happily without any problems. One of the most common reasons why furnaces break down is due to a dirty filter. 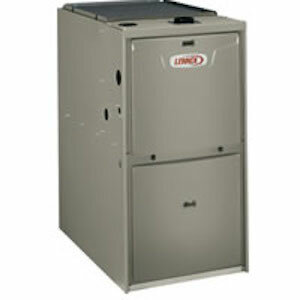 The more dust and debris that gets clogged in your filter, the more energy your furnace uses to pull the air through. This causes the motor to work harder and, once it’s been overworked, it’ll likely break down. Since your Lennox furnace is constantly running, it’s important to change the filters every 1-3 months to extend its lifespan and efficiency. If your home has a drier or dustier environment, it is better to replace the filter even more frequently to improve and maintain the quality of the air. The majority of condensing furnaces use higher energy efficiency to operate, thus producing more heat while using less fuel. An external intake pipe is used for air supply. When the pipe is blocked or clogged, it reduces the efficiency of your pipe and can also cause a harmful buildup of carbon monoxide. Make sure to seek the intake pipe on the outside of your home and ensure that it is clear of snow, ice, or other environmental factors. If you cannot locate the intake pipe on your own, have an HVAC technician do it for you. Remember, this is not just about HVAC maintenance, this is a safety precaution! While there are thing you can do to keep your HVAC in decent condition, in the end, putting it in the care of certified and knowledgeable conditions is your best bet for prolonging the appliances life. You can have regular HVAC maintenance appointments set up so that you can catch any issues before they worsen. The maintenance appointments will pay off in the long run, as they will help you avoid costly repairs.